Chief Justice Miriam Naor to be replaced by Esther Hayut. 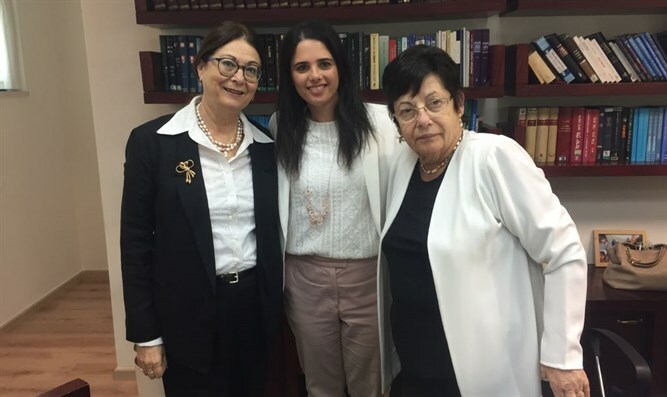 The Judicial Selection Committee has chosen Esther Hayut to replace Miriam Naor as chief justice of the Israeli Supreme Court during a meeting Tuesday morning. Hayut, who has served as an associate justice since 2003, will be sworn in as chief justice later this month. Hayut will serve as chief justice for a six-year term. The 63-year-old justice was selected by the committee on the basis of its seniority policy, whereby the outgoing chief justice is replaced with the next most senior member of the Supreme Court. In addition, the Judicial Selection Committee selected associate justice Hanan Melcer to serve as Hayut’s deputy on the court. Committee member MK Nurit Koren (Likud) abstained from Tuesday’s vote after she objected to the selection of chief justice solely on the basis of seniority. The Legal Forum for the Land of Israel lauded Koren’s abstention.